Fences are used as a first line of protection against anyone trying to sneak in to your house. It also serves as a decoration which can complement the house you are living in. Most home owners would also like to have their own fence installed but is having a hard time how to do it. 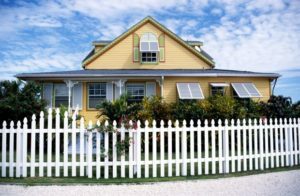 Here are some things you should know about installing a fence that will be perfect for your home. Before installing a fence, it would be best to take time what kind of fence do you want. Do you want it to be made with wood, stone or a chain link fence? Whatever it is that you choose, make sure that it will suit your yard or home. Installing a fence could be a good idea since it protects your home, as well as gives you the necessary privacy. If you are planning to install one, make sure to also consider other people. Do not install it too high that it can block your neighbor’s view. Some people also designed their house to be decorative and it would be best not to obscure the beauty of your neighbor’s house. It would be best if you know what kind of materials you want your fence to be made of. Wooden fences might be good and affordable but it can also be easily damaged and preventing it from warping or rotting can also be more expensive compare to having a steel one. Make sure to asses first what kind of materials would suit your needs. If you want a sturdy long-lasting one, a fence made up of steel or stones can be a good idea. Though most people would think that installing it can be easy, it is really hard to install one. Consider hiring a fence contractor to make it easier to install one. They have the necessary skills, knowledge and equipments needed to install your fences. They also know where to find affordable materials as well as laborers. They can also finish the job in a timely manner and also removed the stress being given by installing a fence. It can be quite expensive to hire a contractor or company but you can be assured that the installation will be smooth and professionally done.